In his honor, I'm posting a vidclip of Manny "Pacman" Pacquiao singing Happy Birthday and also The Freddie Roach Story from HBO. Many, many more birthdays to come!! Manny Pacquiao sings Happy Birthday to Freddie (2014)! NOTE: Posted 3/6 as-of 3/5. UGH! Hate when I'm jammed and can't post on the proper birthdate. 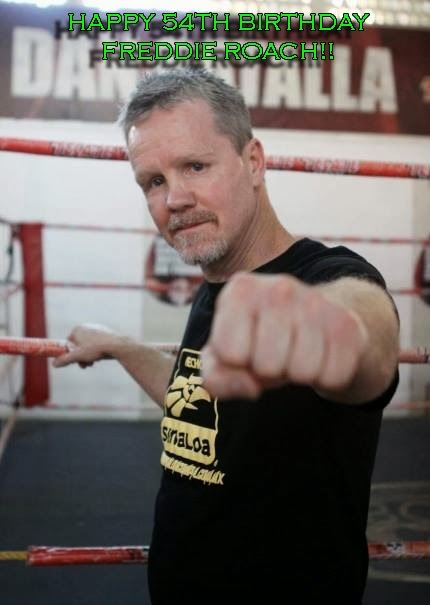 Sincerest apologies to Freddie Roach!